Tower Bridge is a bridge in London built between 1886 and 1894. 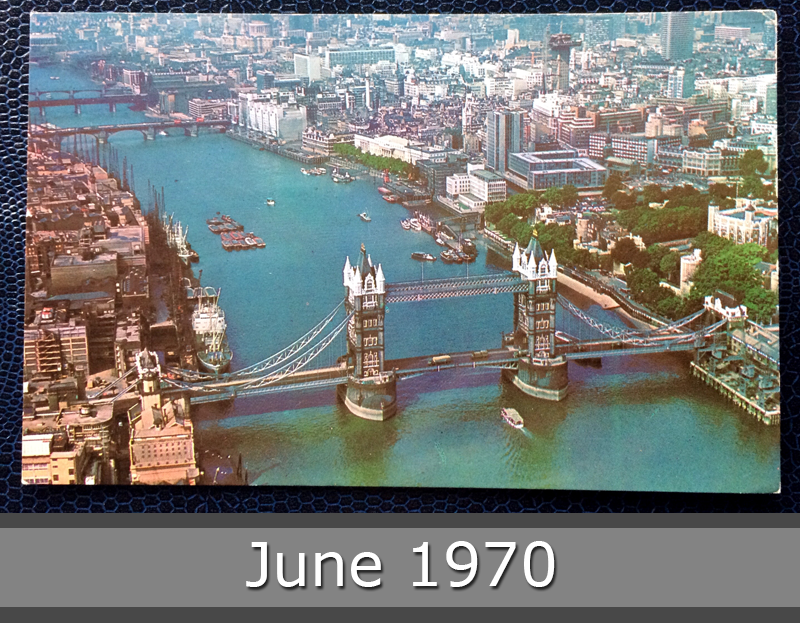 The bridge crosses the River Thames close to the Tower of London. The bridge consists of two bridge towers tied together at the upper level by two horizontal walkways. The bridge deck is freely accessible to both vehicles and pedestrians, whereas the bridge’s twin towers, high-level walkways and Victorian engine rooms form part of the Tower Bridge Exhibition. 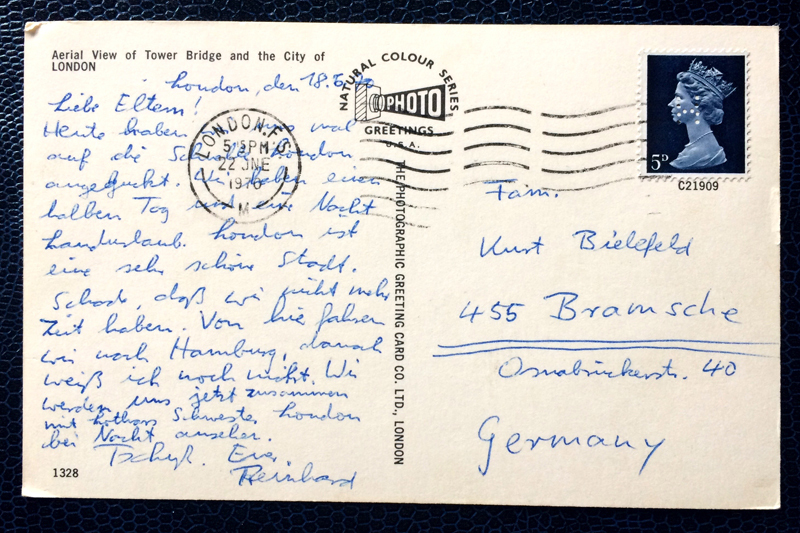 This postcard goes from London to Germany in June 1970.